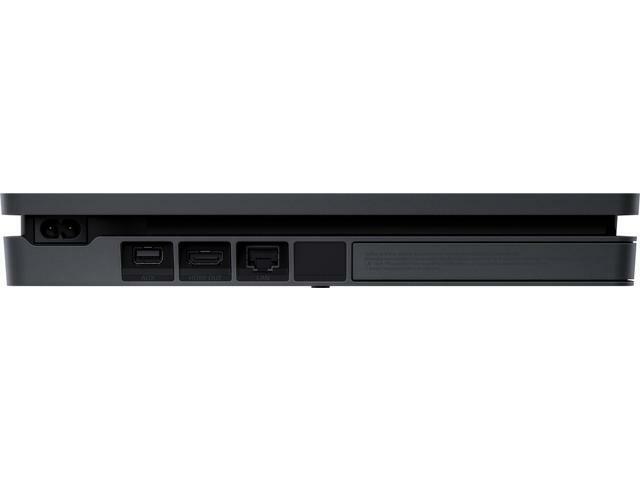 The PlayStation 4 Slim system opens the door to an incredible journey through immersive new gaming worlds and a deeply connected gaming community. Play amazing top-tier blockbusters and innovative indie hits on PS4 Slim. You'll also get access to endless streaming movies, TV shows and music, and share your epic game moments with a press of button. Compared with full-sized original model, this Slim model is smaller, lighter, quieter and more power efficient, but also delivers the same amazing gaming experience in Full HD 1080p. 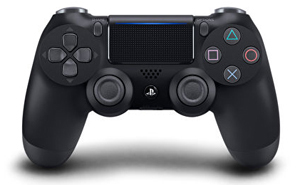 The DualShock 4 is revised with a new light strip on the touchpad for easy status indication. Grab your DualShock 4 controller and get ready to play. 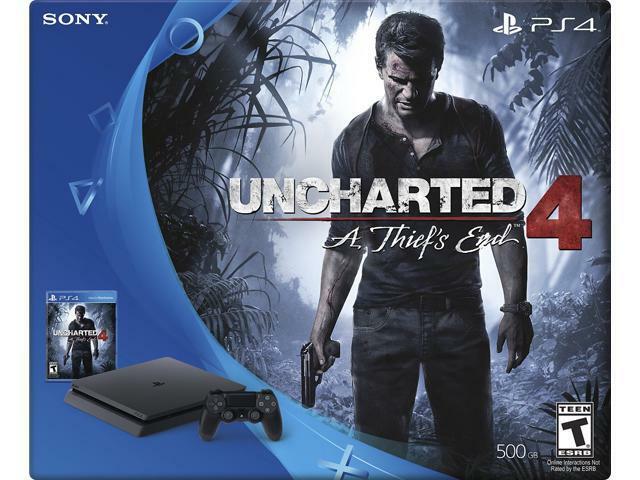 This bundle includes Uncharted 4: A Thief's End for out of the box gaming. When compared with its full-size predessor, the PS4 Slim is 30% smaller, 16% lighter, and 28% more energy efficient. Whether it's realistic game physics or inconceivable action, subtle detail or vibrant imagery, the PS4 Slim does it all in a smaller, lighter form. The bundled DualShock 4 controller features a newly added light strip above the touchpad for easy viewing - no need to flip up the controller to see the light bar on the side. It also can be plugged into the console's USB port for charging and gaming, other than the original controller's USB supporting only charging. 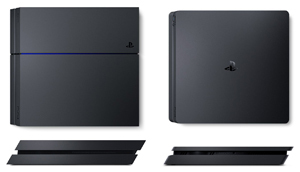 The PS4 Slim system has same hardware specs compared with the original PS4 console. It focuses on the gamer, ensuring that the very best games and the most immersive experiences are possible on the platform. 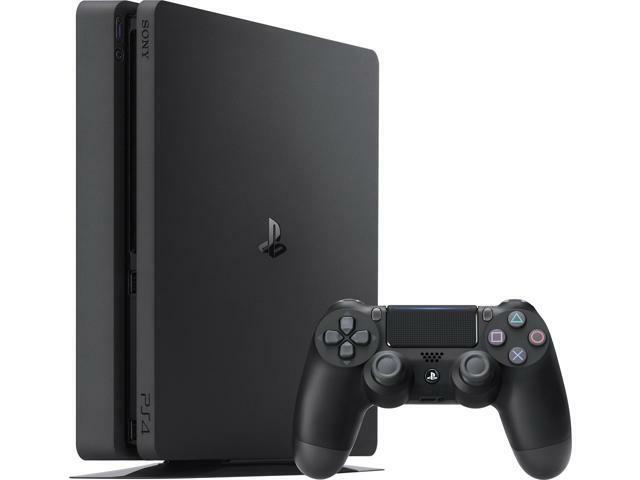 The PS4 Slim system enables the greatest game developers in the world to unlock their creativity and push the boundaries of play through a system that is tuned specifically to their needs. 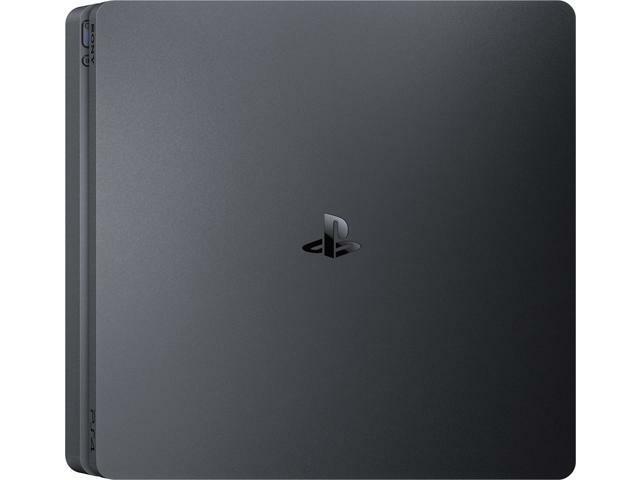 The PS4 Slim system is centered around a powerful custom chip that contains eight x86-64 cores and a state of the art 1.84 TFLOPS graphics processor with 8 GB of ultra-fast GDDR5 unified system memory, easing game creation and increasing the richness of content achievable on the platform. 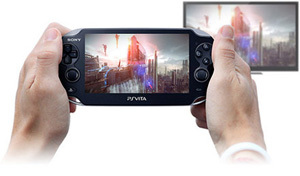 The end result is new games with rich, high-fidelity graphics and deeply immersive experiences. 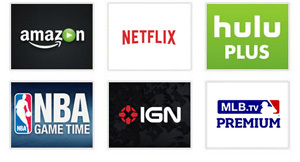 Increase your play time with the ability to play games while they’re downloading titles. 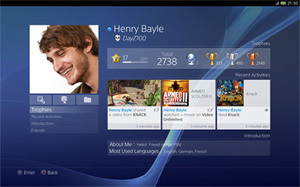 When a player purchases a game that is enabled with this feature, the PS4 system downloads a portion of the game, so play can start, while the rest is downloaded in the background during actual gameplay. The "PlayStation App" will enable iPhone, iPad, and Android based smartphones and tablets to become second screens for the PS4 system. 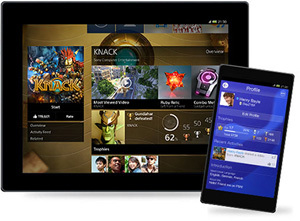 Once installed on these devices, players can view in game items, purchase PS4 games and download them directly to the console at home, or remotely watch the gameplay of other gamers playing on their devices. 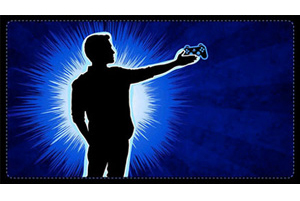 Feature The new slim PlayStation 4 opens the door to extraordinary journeys through immersive new gaming worlds and a deeply connected gaming community. Greatness Awaits. 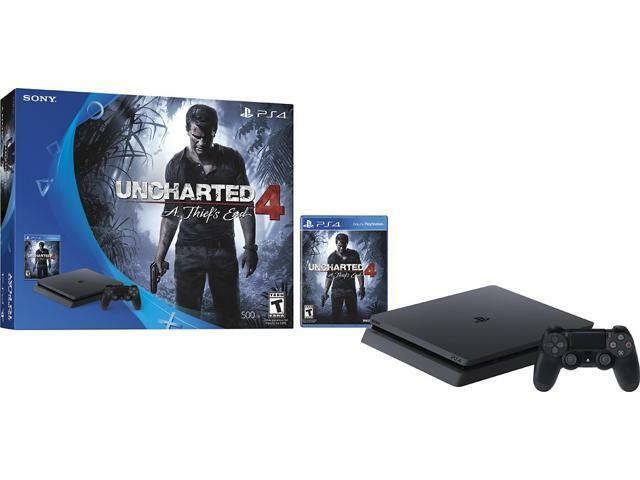 Includes a new slim 500GB PlayStation 4 system, a matching DualShock 4 Wireless Controller, and Uncharted 4: A Thief's End on Blu-ray disc. Play online with your friends, get free games, save games online and more with PlayStation Plus membership (sold separately). 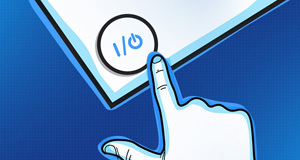 Connect with your friends to broadcast and celebrate your epic moments at the press of the Share button to Twitch, YouTube, Facebook and Twitter. This item is covered by VIPOUTLET Return Policy.